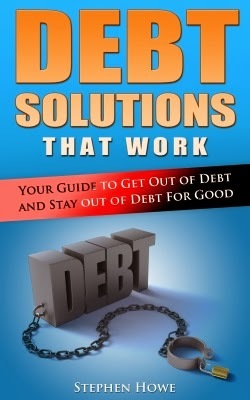 This book teaches you how to get out of debt and stay out of debt for ever. There are so many books who think they have the answers, they don't, they want you to spend money to get you out of debt, this book teaches you the basics of how to do the steps to get your self out of debt. Great read and I will be recommending it to all people, especially newly married because they can stay out of debt and not have to go down that road which could lead to a lot of arguing and who knows maybe even a broken marriage. So want to get out of debt, grab this book, read it, take notes and i promise you, you will not be the same. You will look at life differently, you will think before you buy on impulse.